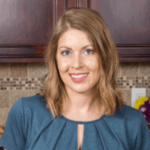 Published: Jun 15, 2017 · Modified: Apr 12, 2019 · By Jen Sobjack · This post may contain affiliate links. 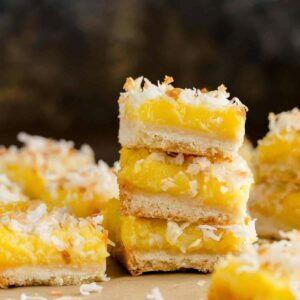 These Coconut Lemon Bars are the perfect treat for your summer cookout! They’re made with simple ingredients that come together easily. 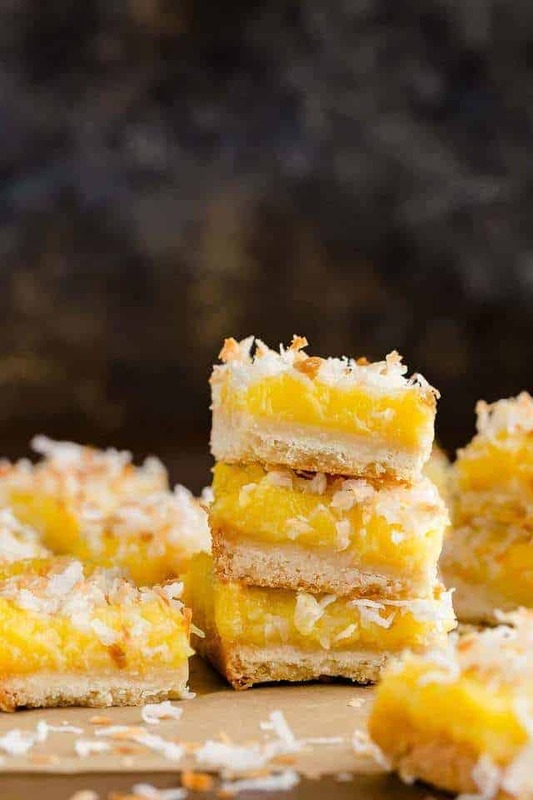 Toasted coconut is speckled throughout the crust and layered over the top of the filling turning a classic lemon bar into an extraordinary dessert. These bars will be a huge hit anytime you want something sweet and tangy! I’m a sucker for a good lemon bar. To me, that means the bar is intense with lemon flavor and not overly sweet. I prefer tart over sweet in this situation. The only time I’ve ever had a bar that met this standard is when we first moved to Tennessee and visited an Amish bakery. Their lemon bars were spot on and now when I make them at home, I try to get them as close to the Amish bars as possible. And then we devour them because they are so dang good! I had a ton of lemons leftover after making lemon cheesecake bars so I decided to put a spin on my favorite classic lemon bar recipe. This recipe is different because instead of using flour as a thickener in the lemon filling, I made curd with a ton of eggs. We’re talking 4 eggs plus 3 egg yolks! This also gives the bars a gorgeous yellow color. The bars start with a shortbread crust. It’s thick and speckled with toasted coconut and lemon zest. It’s the absolute best crust to pair with the creamy lemon filling. I used about half of the recipe for my regular lemon bars and stirred in the zest of one lemon and one-fourth cup of toasted coconut. Press in firmly into an 8×8-inch pan and bake it for 20 minutes. The creamy lemon filling is so lush. I love how silky smooth it turned out. If you like lemon curd, then you will find this filling irresistible. The filling is flavored with a lot of fresh lemon juice and zest. You can also use bottled lemon juice for this if you don’t want to spend time juicing lemons. The curd for the filling begins on the stovetop. I didn’t use a double boiler like you typically would do with curd. It took less time to cook it straight in the pot over medium heat. Stir the curd continuously with a whisk while it cooks to prevent it from sticking to the bottom of the pot and scrambling the eggs. But sometimes you may end up with bits of scrambled egg no matter how careful you are. Press the curd through a fine-mesh sieve to remove them. Spread the curd over the crust and pop it back into the oven for another 20 minutes. Once it has finished baking, sprinkle more toasted coconut over the top. The bars will need to refrigerate for at least 2 hours before they are set enough to slice. The coconut lemon bars will have an intense lemon flavor. It’s sweet enough to balance the tartness of the lemon without being overly sweet. If you are a fan of sweet and sour desserts, these bars are for you. You can even try them without the coconut! Preheat the oven to 350ºF degrees. 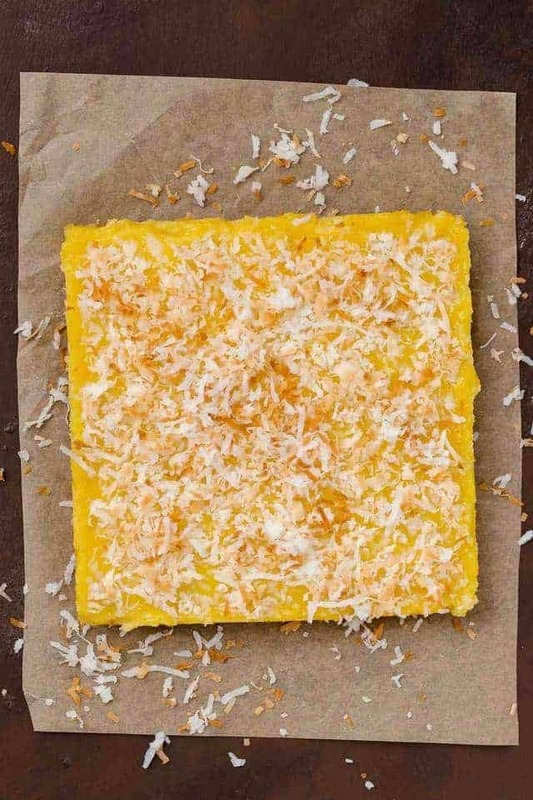 Spread the coconut in a single layer on a baking sheet. Bake for 7 minutes or until the coconut is light brown; set aside to cool. Line an 8×8-inch pan with foil with enough overhang on all sides for easy removal. In a medium bowl, combine the flour, sugar, salt, lemon zest, and 1/4 cup of the toasted coconut. Stir to combine. Using a pastry blender of a fork, cut in the butter until the mixture resembles coarse crumbs. Press the dough evenly into the bottom of the prepared pan. Bake for 15 to 20 minutes, or until lightly golden brown. Whisk the eggs, yolks, sugar, and salt together in a medium pot. Stir in the lemon juice and zest. Cook over medium heat, stirring constantly, for about 10 minutes. The curd will thicken to the consistency of pudding. Stir the butter and cream into the smooth curd filling. Strain the curd through a fine-mesh sieve set over a medium bowl. Pour the curd over the hot crust and spread evenly with a silicone spatula. Bake for 15 to 20 minutes, or until the filling is set. Remove from the oven and sprinkle the remaining toasted coconut over the top. Cool in pan on a wire rack for 1 hour. Cover and refrigerate for at least 2 hours. Lift the bars out of the pan using the foil overhang. Cut into 16 squares. Bars will keep for up to 3 days stored covered in the refrigerator. They will keep for up to 3 months in the freezer. Place the bars on a baking sheet and freeze until the bars are frozen all the way through (about 2-3 hours). Then, wrap each lemon bar in plastic wrap and place them in a zip-top freezer bag. Thaw overnight in the refrigerator. *Bottled lemon juice can be used in place of fresh lemon juice. Keep in mind that bottled juice is much stronger and more acidic than fresh juice. Wow, these look absolutely incredible! I love lemon and coconut together and these bars sound great. Combining two of my favorite things, lemon and coconut! These look so delish! Jen, I’m seriously in awe over how gorgeous these lemon bars are. 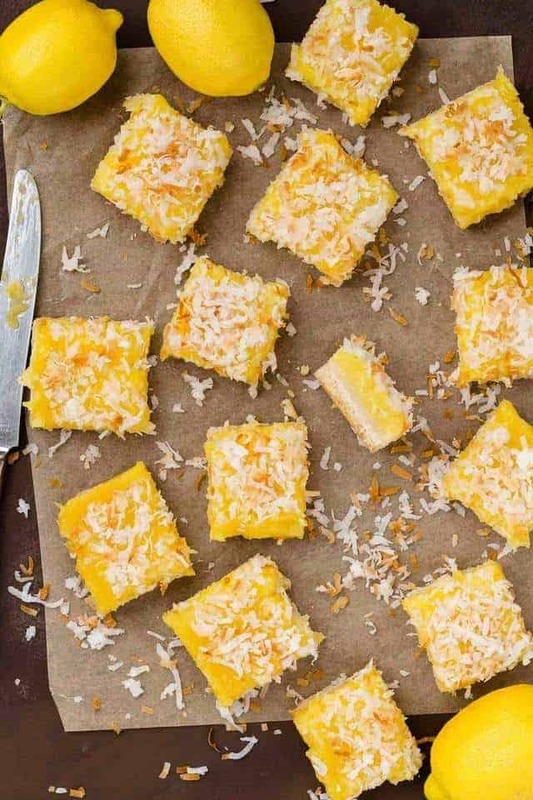 I mean, HOLY MOLY these are like the holy shrine of lemon bars with that addition of coconut! Can’t even wait to try these!